This moth was perched on foliage during daylight hours. Kakamega Forest, Kenya, Dec 2014. Wingspan is about 12 mm. Tortrix moths are all small - mostly less than 35 mm wingspan. They tend to perch with their wings held flat but swept backwards. The larvae are usually either leaf rollers or else fruit feeders. 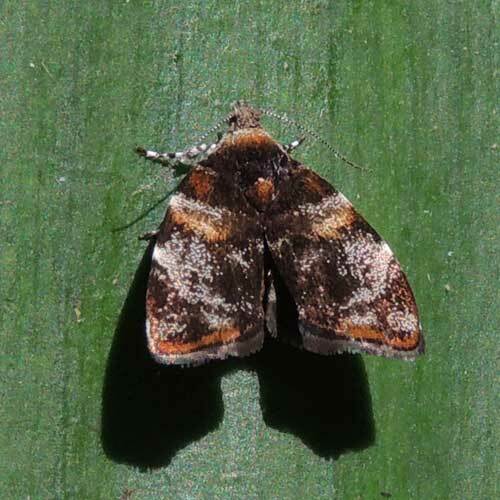 The apple coddling moth is a familiar pest species.